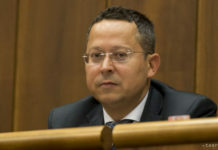 Bratislava, July 25 (TASR) – Former economy and agriculture minister Lubomir Jahnatek belongs to a „stream of politicians and experts who’ve always stood for a strong regulatory framework“, Prime Minister Robert Fico (Smer-SD) said after inaugurating him as chairman of the regulatory authority URSO on Tuesday. 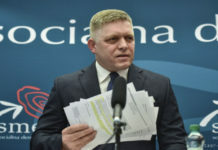 Fico noted that Jahnatek as economy minister in his first government (2006-10) prepared legislation concerning the Office for the Regulation of Network Industries (URSO) and also headed a team preparing the so-called third energy package involving the introduction of EU regulations in the sector. „It’s no secret that stable energy prices always suited well to my governments,“ said Fico. „While it holds that the best economic results by this country have been achieved with Smer-SD in government, the most stable prices of gas and electricity have also been during Smer-SD governments. This is certainly due to our respect for benefits provided by a strong regulatory framework,“ said Fico. „I can’t impose any demands on the URSO chairman, as this is an independent agency. Nonetheless, I have a plea or a notion, if you will … to see the office using to its maximum the potential provided by the regulatory framework. 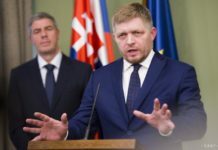 The office should look properly at all cost items presented by companies into price proposals concerning gas, electricity and other commodities that are decided on by this authority,“ added Fico.